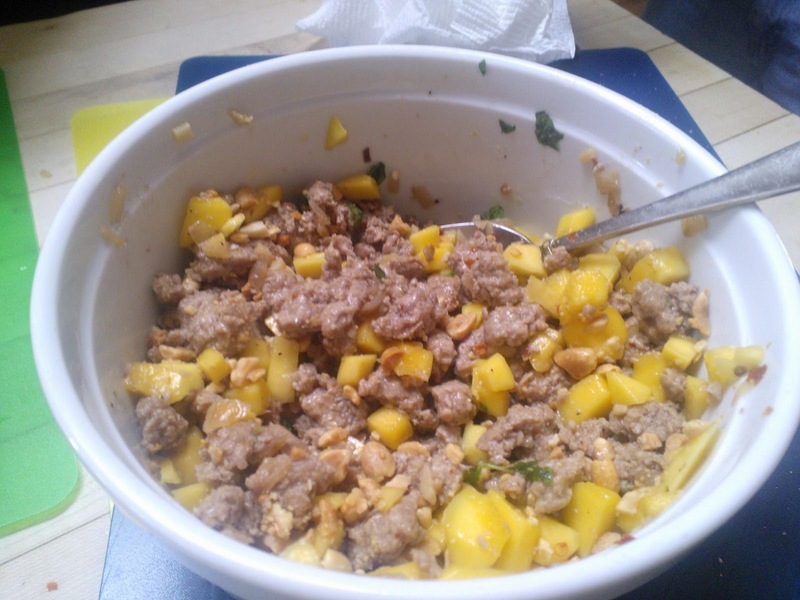 Here's an easy recipe for a full-flavored Asian dish—Vietnamese green mango and pork salad—that requires no crazy cooking skills and no ingredients that you have to travel to Hanoi to buy. Feel free to substitute ground chicken or ground turkey for the ground pork. Fish sauce can be found in most standard supermarkets. The following recipe, accompanied with brown rice and a vegetable, should serve six. Have Unripe Fruit? Let It Hang Out! Whenever I buy fruit that needs more ripening time (avocados, mangos, etc. 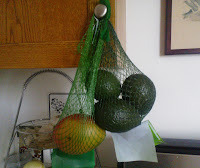 ), I try to let the fruit hang out (literally) instead of resting on a plate. This avoids the development of soft spots which, if you forget to turn the fruit daily, can turn bad quickly. The avocados I buy come in a mesh bag, which makes for easy hanging. I save old bags to use for other fruit, such as the mango in the photo. I satisfy my sweet tooth with dark chocolate, maple syrup, raw honey and molasses, but these stand-alones don't work for everyone. For those with a hankering for candy, getting one's fix and not poisoning oneself are, for the most part, not possible. However, a friend just sent me a link to a YouTube video for UNREAL candy, which doesn't contain corn syrups, partially hydrogenated oils, artificial colorants, genetically-engineered ingredients and preservatives. These, as anyone who has read the ingredient list of a candy bar knows, are the staples of junk food. UNREAL makes five candies, cleaner versions of M&M's (plain and peanut), Snickers, Milky Way and Reese's peanut butter cups. 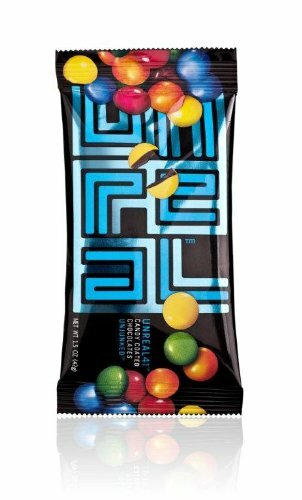 I had tried UNREAL candy about a year ago but had forgotten about it until my friend's email. Since I am not a candy guy, I am not the best judge of flavor, but I did want to let everyone know of its existence. Only a couple of the ingredients used are organic, but, again, these bars are infinitely better than the other stuff for sale. Almost two dozen states are at various stages of the fight to have foods containing genetically-engineered ingredients labeled as such. Here's the latest update (courtesy of Dan Flynn at Food Safety News) from Washington State, where I-522 probably has the most developed infrastructure (a lot borrowed from California's effort last year) of any of the state movements. "Sunday’s end to the Washington State Legislature’s 105-day regular session means Evergreen State voters are going to decide whether genetically modified food should be labeled. That’s because lawmakers in Olympia took no action on Initiative 522, Washington State’s version of the 'Right to Know' law California voters narrowly rejected last November. "I-522 is an 'Initiative to the Legislature' under the Washington State Constitution. State lawmakers could have adopted it or even proposed their own version of I-522, but because they took no action, the measure goes on the November ballot with the language written by its sponsors. “'The People’s Right to know Genetically Engineered Food Act' will be voted up or down by Washington State voters who are as much experienced in deciding ballot measures as are Californians. Some language from California’s Proposition 37, however, did not make it up north. I-522 overall is similar to Prop 37, but it is missing language included in the California campaign to prohibit words like 'Natural' or 'All Natural' from being used on food labels. "As I-522 moves to the ballot, state Public Disclosure Commission records shows at least five separate committees registered to raise money in the support of the measure. Together they spent close to $1 million so far, most probably on petition signature gathering. Total cash on hand reported by the committees is more than $400,000. "Mark Funk, a well-known Evergreen State political operative, leads I-522’s opposition. His 'No on 522' committee has opened a bank account with $1,144 deposited so far. Opponents in California outspent Prop 37 supporters, $45 million to about $10 million." I think it's safe to say that the bank account for "No on 522" will grow by a few zeroes in the next couple months. Health troubles ahead for Huey, Dewey and Louie? 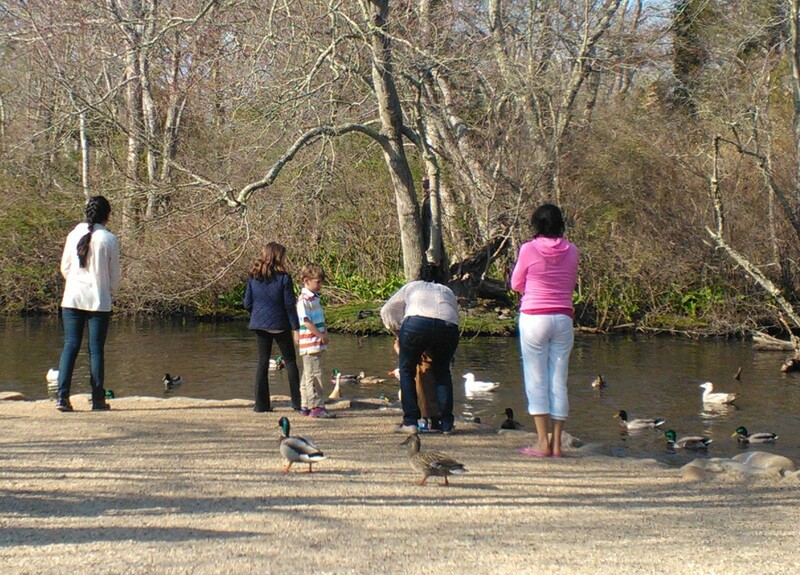 Am I crazy for feeling sorry for ducks when I see people feeding them bread made from bleached white flour and Cheerios? I get knots in my stomach, no different than when I see kids eating "ice cream" (read: chemicals) from an "ice cream" truck. I received this action alert from the Center for Food Safety yesterday. Labeling of foods containing genetically-engineered ingredients seems inevitable in the United States, but speeding up the process wouldn't hurt. Do your Senators and Congressmen support the bills? Click here to tell them to do so. Remember, we are the ones who vote them into office. "In the U.S., we pride ourselves on having choices and making informed decisions. Under current FDA policy, we don't have that choice when it comes to genetically engineered (GE) ingredients in the foods we purchase and feed our families. 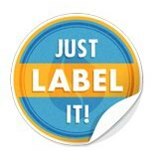 That’s why Senator Barbara Boxer (D-CA) and Congressman Peter DeFazio (D-OR) have sponsored new federal legislation that would require the labeling of all GE foods; the first labeling bill to be introduced in the Senate in over a decade! 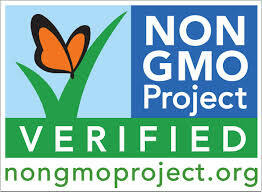 "Today, the Genetically Engineered Food Right to Know Act was introduced in both the Senate and the House! Tell your Senators and Representative to support the GE food labeling bill! "Thanks to your emails over the last two weeks, nine Senators and twenty-one Representatives have signed on to the bill as original co-sponsors. Now it’s time to push all Senators and Representatives to support the bill! "Without mandatory labeling of GE foods, consumers are being left in the dark about the foods we are purchasing and feeding our families. There is overwhelming public demand—consistently near 95%—for the labeling of GE foods. Yet the U.S. is one of the only developed countries in the world that doesn’t require labeling; sixty-four countries have mandatory labeling policies for GE foods including Korea South, Japan, the United Kingdom, Brazil, China, South Africa, Australia, the entire European Union, and many others. Already in 2013, 37 GE labeling bills have been introduced in 21 states, including Hawaii, Washington, Indiana, Missouri, and Vermont, with many more expected by year’s end. "Tell Congress it’s time to finally pass a GE food labeling bill in 2013—Support the Genetically Engineered Food Right to Know Act! "Senators Lisa Murkowski (R-AK), Kirsten Gillibrand (D-NY), Richard Blumenthal (D-CT), Mark Begich (D-AK), Jon Tester (D-MT), Bernie Sanders (I-VT), Jeff Merkley (D-OR), Brian Schatz (D-HI) and Martin Heinrich (D-NM) are cosponsors of the Senate bill. "Representatives Jared Polis (D-CO), Tulsi Gabbard (D-HI), Chellie Pingree (D-ME), Donna Christensen (D-Virgin Islands), Jan Schakowsky (D-IL), Peter Welch (D-VT), James Moran (D-VA), Louise Slaughter (D-NY), Don Young (R-AK), Jim McDermott (D-WA), Raul Grijalva (D-AZ), Earl Blumenauer (D-OR), Jared Huffman (D-CA), Jackie Speier (D-CA), Jerrold Nadler (D-NY), Gerry Connolly (D-VA), George Miller (D-CA), David Cicilline (D-RI), Barbara Lee (D-CA), Grace Napolitano (D-CA) and Eleanor Holmes Norton (D-DC) are cosponsors of the House bill." Which Chicken (White or Dark, Bone-In or Boneless) to Use? "My parents are coming and I want to make the chicken cacciatore, but my mom doesn't eat dark meat. Would you suggest I make a whole chicken (cut in parts) or just chicken breast? If chicken breast, boneless or bone-in?" In my opinion, use dark meat on the bone whenever possible. Its flavor is a little more pronounced and bone-in meats tend to remain a little juicier. Also, contrary to regurgitated popular belief, dark meat contains more nutrients than white meat. Cooking the whole bird (cut into parts) would work as well, but know that white meat cooks faster than dark meat, so removing some parts before others is necessary to ensure uniform doneness. If you are going to cook boneless chicken breasts (my absolute last choice), make sure to get thick breasts that will have a better chance of remaining moist. And be super vigilant about not overcooking them. Click here to learn about carryover cooking. Inherent in this conversation is the need to avoid chicken given feed laced with antibiotics. Thankfully, antibiotic-free chicken is becoming more readily available. In the United States, federal regulations prohibit the use of hormones when growing chicken, so don't be fooled by some manufacturers' misleading labeling. Antibiotic-free, though, does not mean organic. Non-organic chickens, even if antibiotic-free, will most likely be eating feed containing genetically-engineered and pesticide-laden corn and soy. Organic chicken will not be tainted by genetically-engineered feed or pesticides. 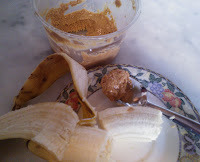 Is there a quicker, easier and more filling snack than banana with peanut butter? If possible, buy organic bananas and real peanut butter (just peanuts and NO hydrogenated fat, refined sugar or fake salt). Solidifying its push to make itself the industry leader in the selling and marketing of non-GMO foods, Whole Foods is holding a sale this weekend (Friday, Saturday and Sunday) of select Non-GMO Project Verified products. If GMOs (genetically modified organisms) are a no-go on your grocery list, then you’ll want to make sure to shop at any US Whole Foods Market® store this weekend, April 19th – 21st, because hundreds of Non-GMO Project Verified products will be on sale. 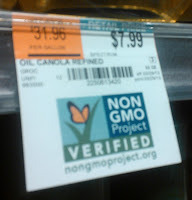 The Non-GMO Project verified seal means the product has passed a third-party verification program and has been produced according to best practices and procedures to avoid the intentional use of GMO ingredients. To date, there are 3,300 products and 250 brands in our stores that are Non-GMO Project verified — the most in North America! Want to know more about verification? Their Executive Director, Megan Westgate, recently wrote a blog post about the top three things you should know about the Non-GMO Project. Think about it – you vote with your wallet – the more Non-GMO Project verified products you buy, the more products will be verified as more vendors join in! • Choose organic products. All organic foods sold in the US must be certified to the USDA National Organic Standards, which do not allow genetically engineered seed and ingredients in the growth and production of organic foods. 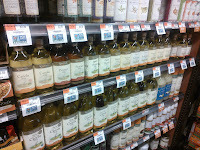 • Use the non-GMO shopping lists found on each of our store’s web pages. • Buy our 365 Everyday Value® products. All ingredients derived from plants are sourced to avoid GMOs, and hundreds of those products are verified by the Non-GMO Project. "Think Those Chemicals Have Been Tested?" Haha! Using everyday personal health care products every day isn't as innocent as the sunshine-filled commercials that tout them make it seem. For those that didn't make the lecture I attended in February on the subject, there was an article ("Think Those Chemicals Have Been Tested?") in The New York Times over the weekend that covered the same territory. Here are the first nine paragraphs, which will hopefully spur you to visit the Environmental Working Group's Guideto Healthy Cleaning database and its Skin Deep Cosmetics database. "Many Americans assume that the chemicals in their shampoos, detergents and other consumer products have been thoroughly tested and proved to be safe. "Unlike pharmaceuticals or pesticides, industrial chemicals do not have to be tested before they are put on the market. Under the law regulating chemicals, producers are only rarely required to provide the federal government with the information necessary to assess safety. "Regulators, doctors, environmentalists and the chemical industry agree that the country’s main chemical safety law, the Toxic Substances Control Act, needs fixing. It is the only major environmental statute whose core provisions have not been reauthorized or substantively updated since its adoption in the 1970s. 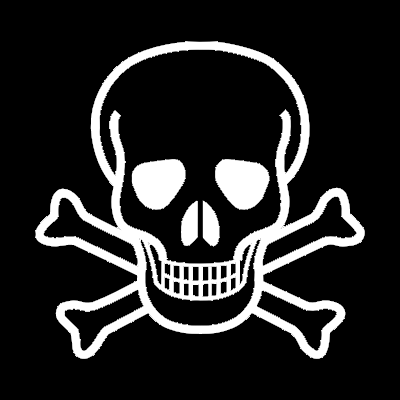 They do not agree, however, on who should have to prove that a chemical is safe. "Currently this burden rests almost entirely on the federal government. Companies have to alert the Environmental Protection Agency before manufacturing or importing new chemicals. But then it is the E.P.A.’s job to review academic or industry data, or use computer modeling, to determine whether a new chemical poses risks. Companies are not required to provide any safety data when they notify the agency about a new chemical, and they rarely do it voluntarily, although the E.P.A. can later request data if it can show there is a potential risk. If the E.P.A. does not take steps to block the new chemical within 90 days or suspend review until a company provides any requested data, the chemical is by default given a green light. "As a result, the overwhelming majority of chemicals in use today have never been independently tested for safety. "In its history, the E.P.A. has mandated safety testing for only a small percentage of the 85,000 industrial chemicals available for use today. And once chemicals are in use, the burden on the E.P.A. 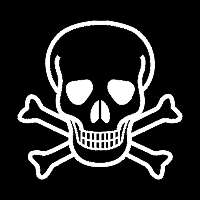 is so high that it has succeeded in banning or restricting only five substances, and often only in specific applications: polychlorinated biphenyls, dioxin, hexavalent chromium, asbestos and chlorofluorocarbons. "Part of the growing pressure to update federal rules on chemical safety comes from advances in the science of biomonitoring, which tells us more about the chemicals to which we are exposed daily, like the bisphenol A (BPA) in can linings and hard plastics, the flame retardants in couches, the stain-resistant coatings on textiles and the nonylphenols in detergents, shampoos and paints. Hazardous chemicals have become so ubiquitous that scientists now talk about babies being born pre-polluted, sometimes with hundreds of synthetic chemicals showing up in their blood." 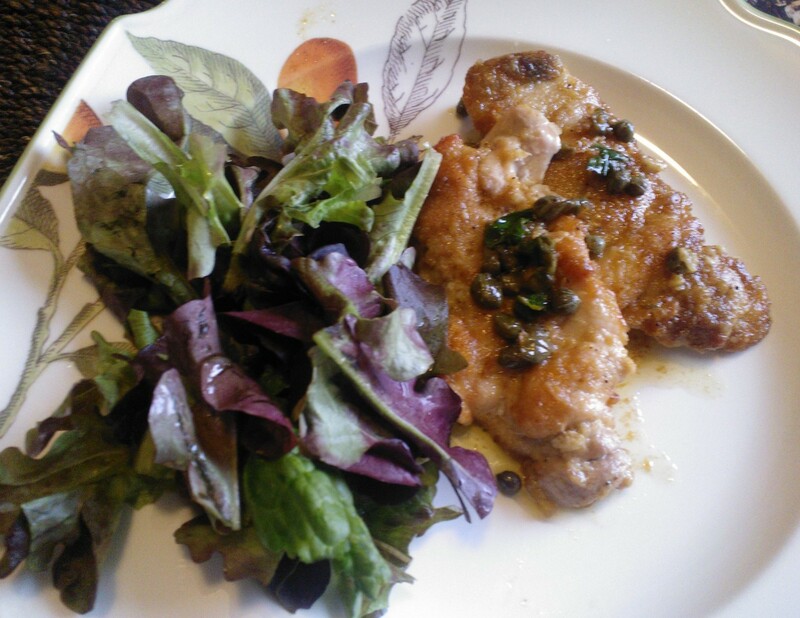 Here's how to prepare chicken piccata, a relatively easy—but flavorful—dish to make. Coat the chicken in flour, shaking off excess flour. Heat olive oil and/or butter in a sauté pan and brown both sides of chicken. Remove chicken from pan and wipe pan mostly clean, leaving a little fat. Add white wine and lemon juice to pan. Cook, stirring occasionally, until strong wine flavor has disappeared and mixture has reduced by about a third to a half. Add butter and capers, and stir until butter is melted and flavors are combined. Turn off heat, taste and reseason with salt, pepper, butter, capers and lemon juice. Put chicken back in to pan to warm, making sure to coat with sauce. Finish with chopped parsley, if desired. 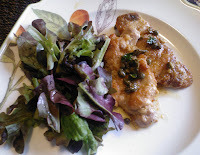 Here are approximate measurements for the sauce (tailor to your tastes and double, if necessary, depending on how many people you are serving and how much sauce you want): white wine = 1/2 cup; lemon juice = 1/3 cup; butter = 3 tablespoons; capers = 1 tablespoon. A question I hear all the time: Do you wash chicken or beef before cooking it? "Washing raw poultry, beef, pork, lamb, or veal before cooking it is not recommended. Bacteria in raw meat and poultry juices can be spread to other foods, utensils, and surfaces. We call this cross-contamination. "Some consumers think they are removing bacteria and making their meat or poultry safe. However, some of the bacteria are so tightly attached that you could not remove them no matter how many times you washed. But there are other types of bacteria that can be easily washed off and splashed on the surfaces of your kitchen. Failure to clean these contaminated areas can lead to foodborne illness. Cooking (baking, broiling, boiling, and grilling) to the right temperature kills the bacteria, so washing food is not necessary." Do you remember the Center for Food Safety (CFS) petition you signed last week urging the National Organic Standards Board (NOSB) to phase out antibiotics in the growing of organic apples and pears? "Yesterday we scored an important victory to end the use of antibiotics in organic apple and pear production and to uphold organic integrity! "Thank you for your support! "Thanks to the more than 30,000 CFS members like you who signed our petition and to the good work of our allies like Consumers Union, Food and Water Watch, and others, we convinced the National Organic Standards Board (NOSB) to not extend the allowance of the antibiotic tetracycline beyond 2014 for organic apple and pear production! "This decision is a victory for the organic standards and advances efforts to preserve the continued effectiveness of antibiotics. Antibiotic-resistant bacteria are a serious threat to public health, and the World Health Organization has labeled tetracycline a 'critically important' drug for combating human infections. Antibiotics are not allowed in the production of any other organic food, including organic poultry and livestock. "The vote came after extended public testimony where some apple and pear growers testified about concerns that they may not have adequate alternatives to prevent fire blight disease that could arise in their orchards. But, as scientists discussed at the meeting, a range of orchard management practices, as well as a substitute for the use of tetracycline, will be available this year. And, orchardists still have two growing seasons to phase out the use of tetracycline. "CFS believes the Board made the right decision and we could not have achieved this important victory without you—thank you! "PS – For more background information and campaign updates on our work protecting the Organic Standards, visit our website." Have a nice weekend and the next victory will be for the labeling of foods containing genetically-engineered ingredients! I share many of Mark Bittman's columns from the online edition of The New York Times in this space, but another writer who—if you are interested in the state of our food supply—should be followed is Tom Philpott of Mother Jones. Philpott is edgy like Bittman, but seems to cover more ground, thanks mostly to the fact that he writes about three blog posts per week. "Monsanto Claims to Ditch Herbicide While Selling More of It"
"Fast-Food Workers Protest Poverty McWages"
"Sen. Roy Blunt: Monsanto's Man in Washington"
"Yes, Antibiotic-Resistant Bugs Can Jump from Animals to Humans"
"Is Your Workout Gear Ruining Farm Fields?" "Not Just the Bees: Bayer's Pesticide May Harm Birds, Too"
"But as I've shown before, herbicide use has actually dramatically ramped up as the Roundup Ready technology conquers vast swaths of US farmland. That's because weeds quickly developed resistance to it, forcing farmers to apply ever-larger doses and resort to older, more toxic herbicides to combat resistant weeds. And while the company has tried hard to leave behind its past as a purveyor of toxic chemicals and rebrand itself as a technology company, those toxic chemicals remain central to its growth and profitability, as its latest quarterly profit report shows." For the past two weeks, I've been buying the first of the spring vegetables available at farmers' markets: overwintered spinach. Despite the seasonal juxtaposition, buy it if you have the opportunity; the spinach's flavor is super sweet, its availability is fleeting and you won't find it in any commercial supermarket. For dinner last night, I sautéed overwintered broccoli raab and used it as a bed for two fried eggs and some cubes of cheddar cheese. The vegetable was ridiculously sweet. 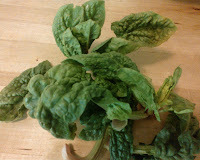 I do not cook overwintered spinach, though; its sweetness is completely lost by cooking and is much tastier when eaten raw. 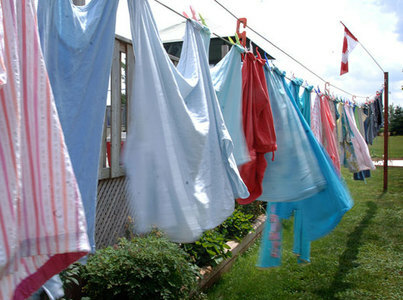 For those trying to move away from heavily-scented commercial laundry detergents that contain phtalates (endocrine-disrupting chemicals that have toxic ramifications), one problem is that clothes will continue to smell from fragrance—no matter how many times you wash them with unscented detergent—unless the proper steps are taken. At a lecture I attended recently about personal health care products, I asked how to remove these smells. Luckily, there was an industrial chemist in the audience who gave advice that worked for a client of mine who has tried it. Paraphrasing the chemist, she said that the molecules of fragrance residing in the clothes need to be freed for the clothes to stop smelling. Two things—time and heat—will facilitate this, so she recommended hanging the clothes and drying them under the sun or in a clothes dryer. My friend hung her clothes in a sunny part of her house for a week and it worked: no more perfumed scent! Click here to find safer laundry detergent. 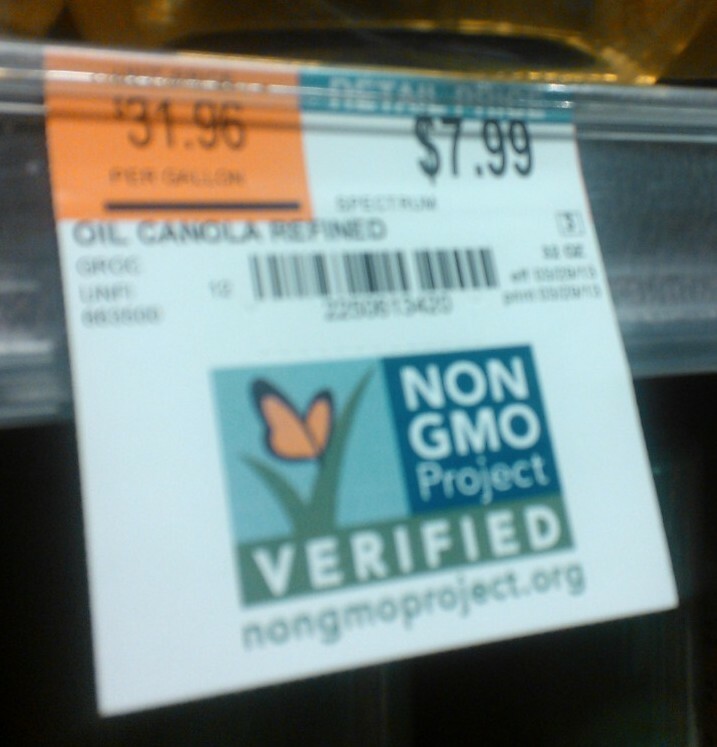 Whole Foods, just a couple weeks after announcing that it will label foods containing genetically-engineered ingredients by 2018, has already started placing "NON GMO Project Verified" stickers in front of qualifying foods. 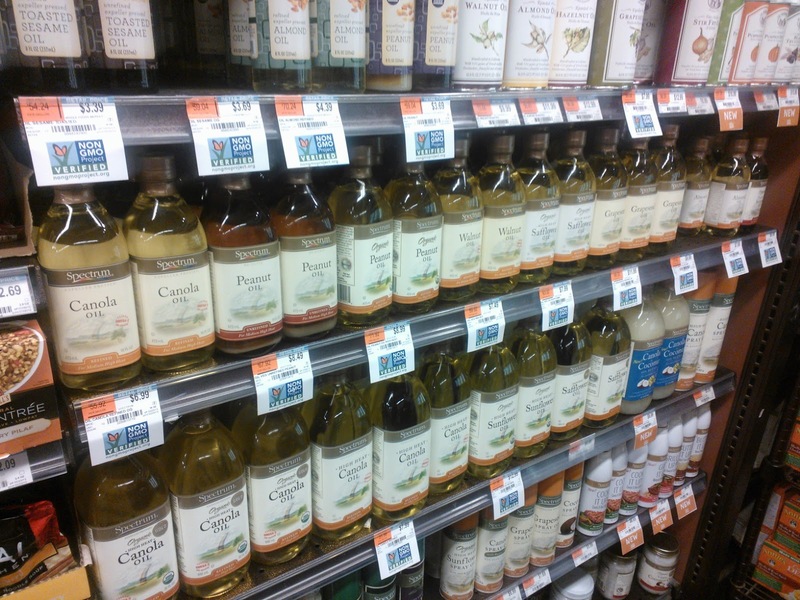 The accompanying photo is of the vegetable oil section, which, in standard supermarkets, is a hotbed for genetic engineering since about 90 percent of American canola, corn and soybeans (the staples of commercial vegetable oils) are from genetically-engineered plants. Is it any wonder why the big food and chemical companies spend tens of millions of dollars to defeat state and labeling initiatives? But, we should all hope, the tide is turning against these denizens of disaster. Mark Bittman: "Why Do G.M.O. 's Need Protection?" Mark Bittman's piece ("Why Do G.M.O.’s Need Protection?") in today's online edition of The New York Times is, I believe, extraordinary. He covers a handful of issues under the genetically-engineered umbrella without being extremist to the point of unreadable. Bittman was set off by the steamrolling of the public interest in the form of a Congressional rider that I wrote about last week. "The rider essentially prohibits the Department of Agriculture from stopping production of any genetically engineered crop once it’s in the ground, even if there is evidence that it is harmful. "That’s a pre-emptive Congressional override of the judicial system, since it is the courts that are most likely to ask the U.S.D.A. to halt planting or harvest of a particular crop." "[T]he pre-emptive 'biotech rider' is such an insult: Congress is (again) protecting corporations from the public interest. This is all the more reason that food derived from genetically modified organisms should be so labeled, especially since the vast majority of Americans want them to be. "Still, we should abhor the use of genetically engineered seeds without adequate testing, and protest against hijacking the Constitution to guarantee the 'right' to unregulated use of genetically engineered seeds. It’s smart to prudently explore the possible benefits and uses of genetically engineered materials in agriculture, and to deploy them if and when they’re proven to be a) safe (otherwise, no) and b) beneficial to society at large (otherwise, why bother?). I don’t believe that any G.E. materials have so far been proven to be either of these things, and therefore we should proceed cautiously." Did You Know Antibiotics Allowed in Organic Apple Growing? Well, you can learn something every day. I just received this action alert from the Center for Food Safety. Did you know that antibiotics can be used in organic apple and pear production? Here's the email, with links to the action page. 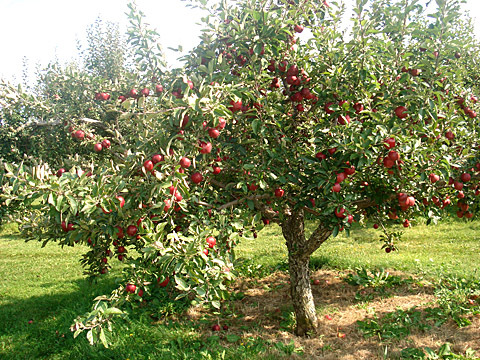 "A little-known use of antibiotics has quietly been allowed in organic apple and pear orchards. Most organic consumers believe that antibiotics are prohibited in organic food production systems, which is mostly true, since all other uses were outlawed when “organic” became a federally regulated program in 2002. 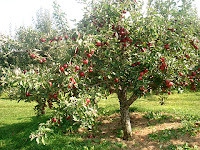 Yet, the use of the antibiotics tetracycline and streptomycin, commonly used to treat human and animal infections, in apple and pear growing have been the exception. Organic apple and pear growers spray them in their orchards to prevent the spread of a costly disease called fire blight, which stifles new growth and can kill trees. "Tell the National Organic Standards Board (NOSB) that the spraying of antibiotics on apple and pear trees goes against the principles of organic, and it’s high time this loophole was closed. "Unfortunately, tetracycline and streptomycin have become the treatment of choice for controlling fire blight and, subsequently, resistance to streptomycin has already become a problem in many apple and pear orchards. When antibiotics are used to kill targeted bacteria, some bacteria are resistant and contribute to the pool of resistant genes in the environment. This situation increases the likelihood that human pathogens will eventually acquire that resistance. Given the problems associated with antibiotic resistance, and the potential for reduced effectiveness of these important drugs for curing human infections, the obvious question is why all uses of antibiotics haven’t been prohibited in organic? "The short answer is that many organic pear and apple growers feel they have limited options since research has been slow to identify alternatives to stop the spread of fire blight. Yet, other growers have found that antibiotics are not needed by keeping a close watch on their orchards and by using the full range of cultural practices and organic inputs available to prevent the spread of the disease. "In 2011, the NOSB informed organic apple and pear growers that both tetracycline and streptomycin would be prohibited after the current extension for its use expired on October 21, 2014. Concerned about their inability to meet the deadline, some growers have petitioned the National Organic Standards Board (NOSB) to extend the expiration date, again, until 2016. "Tell the NOSB that enough is enough -- without time pressure to end the use of tetracycline and streptomycin, alternative controls likely will not be implemented as soon as they could be. Given the growing public and medical community concern about antibiotic resistance and its effects on health, we cannot risk having these important antibiotics lose their effectiveness for killing human pathogens. Moreover, the entire organic label and organic program is at risk of losing credibility because organic consumers do not expect antibiotics to be used in any of the organic products they buy, and certainly not in apples and pears. "Sign the petition urging the NOSB to phase-out antibiotics in organic apples and pears!" Michael Moss Appears on "The Daily Show with Jon Stewart"
Rob Endelman is a chef who, in addition to teaching cooking technique, empowers people with the knowledge to make better choices when it comes to buying and preparing food. Chef Rob believes that a lack of awareness about our industrial food supply has contributed to the increase in modern diseases such as obesity, cancers and food allergies. Feel free to contact Chef Rob at robATthedelicioustruthblogDOTcom.